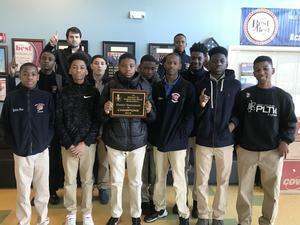 LISA Academy North Junior Boys basketball team won the 1A-6 Conference championship on February 7, 2019. We are proud of these athletes and their coaches for their hard work this season! Go Jaguars! !